Rigidity, sensory sensitivities, coordination difficulties, and sleep dysfunction often go together with an autism diagnosis. They present their own challenges, but these symptoms can also put a child at risk for being overweight or obese and for diabetes or heart disease later as an adult. Although eating a balanced diet, getting enough exercise, and good sleep habits can be hard for children with Autism Spectrum Disorder (ASD), there are strategies parents can use to help establish good habits that can last a lifetime. Picky eating to avoid certain tastes or textures is common in children with autism. This “food selectivity” can lead to a diet of sameness without a wide range of foods. It may be preventing your child from getting the nutrients he or she needs and may be contributing to a diet too high in fat and cholesterol. To help broaden your child’s food choices and promote a balanced diet, it is important to understand what your child likes or doesn’t like about certain foods. For example, if your child really likes flaming hot cheese puff chips, consider trying new foods that also have a spicy flavor. Start from what you know your child likes and choose new foods that are similar but push the envelope just a little bit. If your child will only eat a certain type and brand of pizza (e.g., cheese pizza from Sally Smith Brand), try a different type from that same brand (e.g., pepperoni cheese pizza from Sally Smith Brand) or that same type from a different brand (e.g., cheese pizza from Troy Thompson Brand). Remember you can modify foods to change the texture, taste or other features (e.g., adding more or less peanut butter vs jelly in a sandwich, mixing something up to make it smoother, heating something up to make it softer). Offer as many choices as possible when encouraging your child to try a new food, and allow them to be a part of the food shopping and food preparation process. The more control they have over the process the more likely they will be to be willing to try something new. And, each time they help you put something new in the shopping cart or help you prepare it, they’re getting exposure to that new food and learning to tolerate having it around them. And finally, remember that research shows that children need up to 12 or 14 exposures to a new food before they begin accepting it into the food repertoire. So if they reject a food after a first taste, praise them for trying and let them know it might taste different next time. And then keep presenting it! Getting enough exercise is another challenge for some individuals with ASD, who tend to be more sedentary than their typical peers. Trouble with coordination and motor skills can be one reason. Also, children with autism may dislike playing some sports due to the fast pace, lack of predictability, and/or social and communication demands (both verbal and non-verbal). Finding an activity that your child enjoys and that can be incorporated into his or her regular routine is critical to helping your child stay active. Whether it is jumping on a trampoline, swimming, or a team sport, exercise by whatever means can help individuals with ASD maintain a healthy weight. Exercise also has the benefit of improving mental health and attention. Sleep is also an important part of a body’s overall health. In addition to affecting daytime behaviors and mood, poor sleep is a common risk factor for obesity. Children with autism can have problems sleeping or staying asleep. Not sleeping well and waking up often during the night prevents individuals from getting enough of the quality sleep all bodies need. To ease bedtime stress, try to follow the same calming nighttime routine. Make sure that the room is dark and comfortable. Limit screen time at night. Outside play time during the day can also help your child fall asleep faster. Parents may feel stuck when trying to find the right healthy routine for their child. A child with ASD may not be motivated by health benefits or social acceptance in order to maintain a healthy weight. 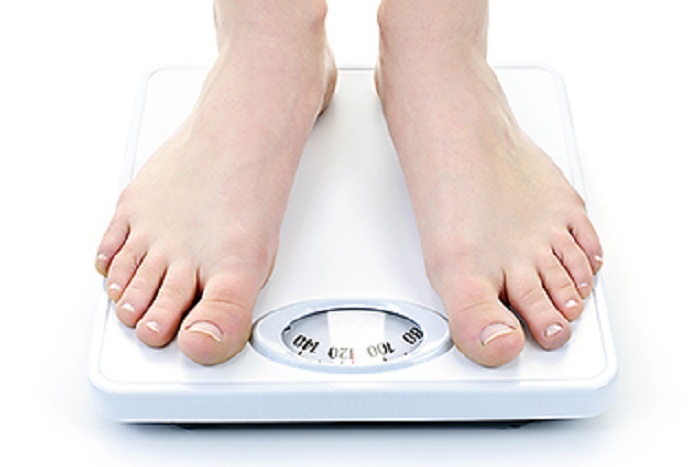 Occupational therapists are great resources for weight management ideas. They can help parents introduce new foods and find ways to fit physical activity into your family’s routine. Programs like CHOP’s Healthy Weight Program can also help make a plan that fits your family.